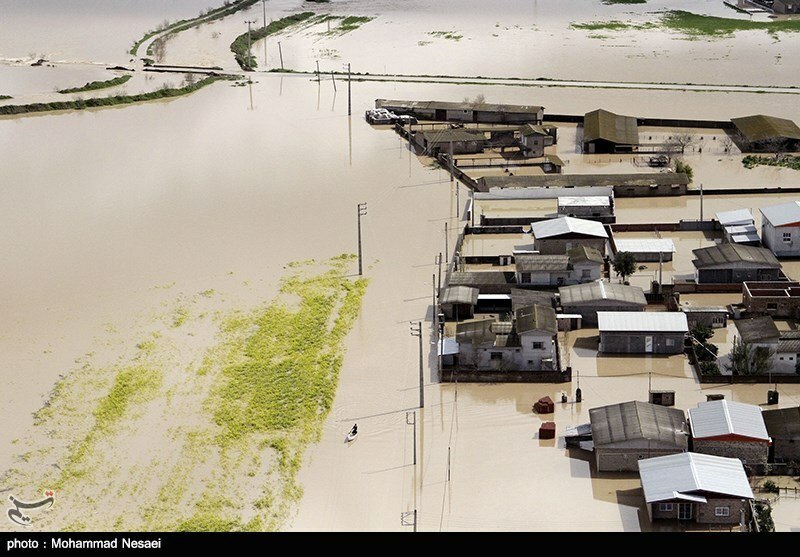 “Unfortunately, two children have lost their lives since floods hit Golestan [province]. As weather conditions improve, work will be expedited to dispatch aid to the flood-stricken areas in the province,” said a deputy provincial governor. This comes as First Vice President Es’haqJahangiri accompanied by a number of ministers traveled to the flood-affected areas on Saturday to get a first-hand account of the situation there. Following the Leader’s order, the top general instructed all armed forces to mobilize their resources and send as much aid and assistance as they can to help flood victims. He also dispatched his deputy Major General Ataollah Salehi to the flood-stricken areas heading a team of military top brass in order to ensure coordination among various military and state authorities during relief work.